Can Genesis Gold® help me lose weight? 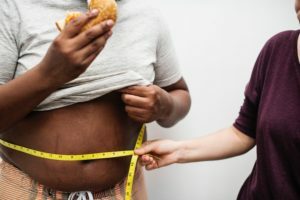 Obesity is a complicated problem, possibly due to malnutrition, upset metabolism, low energy expenditure, chronic stress, and sleep deprivation. By supporting optimal function of the hypothalamus, the part of the brain which controls appetite, basal metabolic rate, and the weight set point, Genesis Gold® may enhance weight loss, in conjunction with a healthy diet and exercise. Hormonal imbalances contribute to sluggish metabolisms. Genesis Gold® helps harmonize the hormones. Cellular toxicity can slow energy production and lead to a sluggish metabolism. 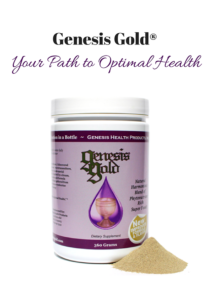 Genesis Gold® provides the micronutrient support to detoxify at the cellular level and speed up energy production.